Thank you Gamdias for sending us these products to review! Gaming can be expensive when it comes to having fast enough hardware to run the newest and best looking games out there. Many gaming accessories are available that can help improve your in-game performance and response time. Gaming mice often come in many speeds and pretty colors and can cost upwards of fifty dollars or more. Durable yet responsive mousepads are not cheap either and usually start around twenty dollars. While cheap keyboards can be bought for twenty dollars or less, mechanical keyboards are typically three, four, or even five times that amount. 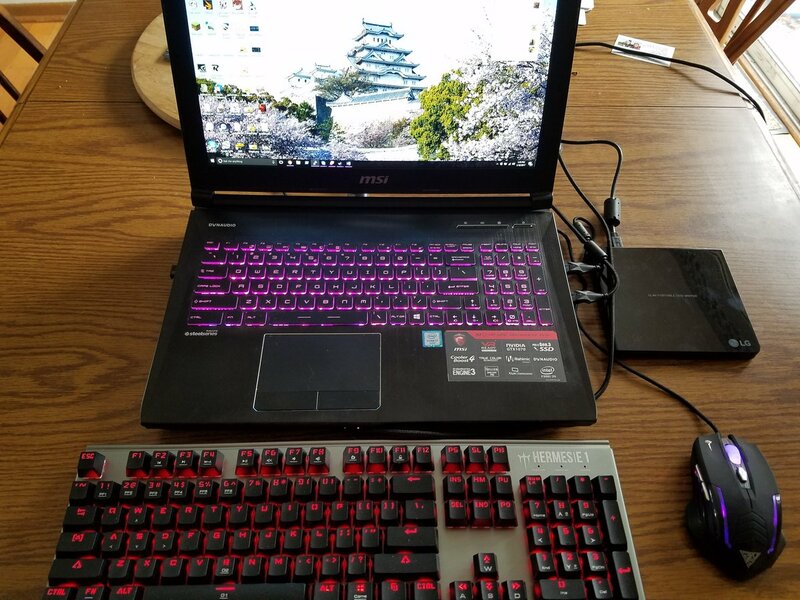 Gamdias has created a budget bundle consisting of a mechanical keyboard, a gaming mouse, and a mousepad all for under eighty dollars. I have seen it for less than fifty dollars on Newegg. Right off the bat, I wasn’t impressed with the mousepad. It seemed like a run of the mill foam mousepad that typically sells for five dollars. After being spoiled by the QcK mousepads, I was not going to downgrade. I gave the mousepad to my daughter and she seems to like it though. Unlike the mousepad, the gaming mouse and keyboard did impress me. My only complaint about them is that you cannot customize their colors or patterns. Strong Points: Nice gaming bundle for one low price. Weak Points: No software or customization options. The Demeter E2 mouse has a braided USB cable and an optical sensor that can support up to 3200 DPI. The mouse feels inexpensive based on the texture of the plastic used, but it feels durable and works well in operation. The lighting on it changes from blue to red in a breathing like pattern. Although the mouse can be considered ambidextrous, there are two extra buttons on the left hand side of it making it more convenient for right-handed gamers. The scroll wheel is clickable and there is a DPI button to change the sensitivity. Since there is no software for this mouse you can’t be sure of your exact DPI setting and the colors and pattern cannot be altered. The DPI options are 1200/1600/2400/3200. The mechanical keyboard can’t be tinkered with via software either. The keys are illuminated in red and there are a couple of lighting patterns available. There are some programmable keys and some neat options like switching out the WASD keys with the arrow keys. There’s even a key lock option to prevent kids or cats from altering open Word documents. If you enable the gaming mode, the windows key will not interrupt your game by launching the start menu if pressed. The construction of the keyboard is solid and I like the thin aluminum faceplate. The blue switches were a little stiff at first but after a couple of weeks, they loosened up a bit. Writing reviews with this keyboard has been comfortable and the snap on wrist strap is great for those who are concerned about ergonomic support. Overall, this is a great mouse and keyboard combo for budget conscious gamers. While the customization options are limited, the quality, comfort, and precision are there. As I mentioned earlier the mouse pad isn’t anything fancy, but it’s better than nothing. If you’re in the market for a mechanical keyboard and a decent mouse, this is a good deal at $79, but a steal for under $50.